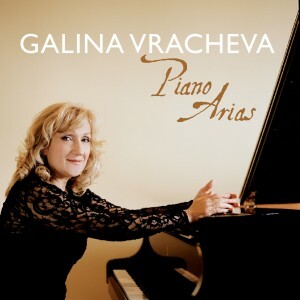 The pianist Galina Vracheva invites you to re-discover Christmas songs from around the world. 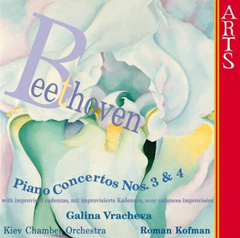 Let yourself be mesmerized by the merry spirit of Christmas embodied in Galina’s fantasies on her favorite carols like “In dulci jublio”, “Leise rieselt der Schnee” or “Bambino divino”! „Mit „Kling, Glöckchen, klingelingeling“, „Bambino divino“, „Joy to the World“ und „Il est né le divin enfant“ führt ihre musikalische Reise durch ganz Europa. Denn so wie die Pianistin wirklich erst im Aufnahmestudio ihren Improvisationen freien Lauf gelassen hat, so kann man auch als Hörer die Gedanken wandern lassen. „Sie kann sich regelrecht in den Rausch spielen. 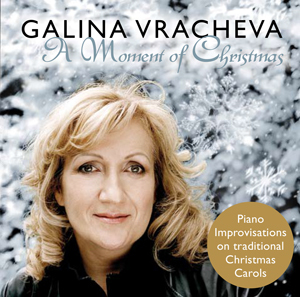 „Die Improvisations-CD von Galina Vracheva ist eine lohnende Alternative für diejenigen, die gern Weihnachtslieder hören und dabei auf die Texte verzichten können und sich an harmonischen Überraschungen erfreuen. 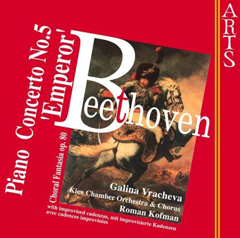 Galina Vracheva is the only pianist worldwide who spontaneously improvises her cadenzas in piano concertos by Mozart, Beethoven, Chopin, Tchaïkovsky, Rachmaninov and Skrjabin on the concert stage and who creates ad hoc compositions in classical style – and in accordance with the structural rules of the period chosen for greatest affinity with the melody – on spontaneously proposed themes. 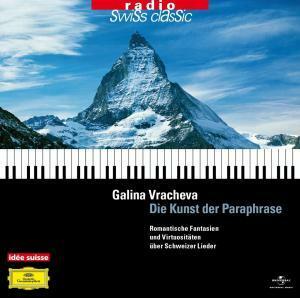 On her double CD, recorded at the request of and in cooperation with Radio Swiss Classic, published by Universal under its Deutsche Grammophon label, Vracheva paraphrases well known Swiss popular songs in classical style. A project that has already received the well deserved attention at Swiss Radio DRS. 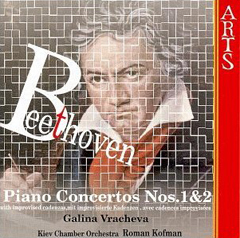 Galina Vracheva with Roman Kofman (Conductor) & the Kiev Chamber Orchestra / Improvised cadenzas by Galina Vracheva.